Posted on April 28, 2013 . 30 Comments. If you do not heed this insight from Messrs. Fried and Hansson in your training, you are doomed for decades of frustration. Do You Understand What You Believe? 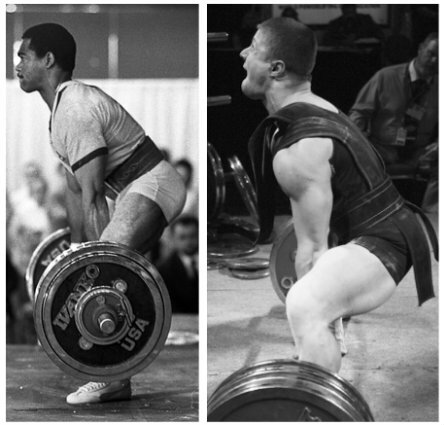 Consider the three leading powerlifting systems: Gallagher’s, Simmons’, and Sheyko’s. All three operate on different sets of principles and take advantage of different physiological phenomena. Sheyko has you squat four times a week using very moderate weights, high volume, and stopping far from failure. Gallagher has you squat once a week for an all-out or nearly all-out one set. Sheyko’s system is an organized approach to “greasing the groove.” Frequent submaximal practice turns the motor nerves into “superconductors,” tops off the creatine phosphate stores in the muscle, and supposedly stimulates release of growth factor IGF-1. Gallagher’s system, in its obstinate denial of light days and higher volume, dooms the muscle to low levels of CP, or fuel for intense contractions. Yet recent Russian research shows how this apparent liability turns out to be an asset for a powerlifter. It turns out a muscle with a smaller “tank” is easier to expose to the type of microtrauma that stimulates growth. In addition, training hard and then doing nothing makes the “undecided” muscle fibers convert into a faster subtype. A typical gym rat, arrogantly convinced he is smarter than Gallagher and Sheyko, will go out of his way to create a “better” hybrid of the two. Immediately, the Russian system will be ruined by pushing the lifter into overtraining with intensity he is used to saving for the competition day. The American system will sputter, the very mechanisms responsible for its success disrupted by an addition of light days. “Drives like a boat and swims like a car,” as they used to say about the car-boat hybrid several decades ago. Dan Austin and Oleksandr Kutcher—”I have my own system, thank you very much.” Photos courtesy of Mike Lambert. What Greater Purpose Will Your Strength Serve? can you cite the studies regarding the “undecided” muscle fibers getting fast in inactivity? Seems like an interesting read. Another thoughtful piece from Pavel. It’s so awesome to learn from the best most accomplished, dedicated, able professionals as those Strongfirst certified men and women. I am looking forward to meeting and learning from you in November at the South African SFG1 certification. Are there plans to run SFL and SFB certifications in South Africa in the future? Thanks, Nic! Yes, I am coming to teach SFG in South Africa with Shaun Cairns this fall. Thank you for the post Pavel. I was at the gym in okla the other day and saw this kid look frustrated at his squat routine. It’s his second week of squatting and he’s been using a program made by the owner and wanted a huge squat right away. I explained to the kid he has to learn basics first and in time he’ll see progress. I also explained to him the gym owner Rickey Dale is a world champion and knows what routines to use for this kid starting out. As mr Crain says “if you train like a clown you’ll perform like one in competition”. 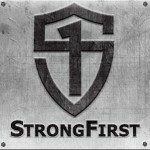 What do you think of Jim Wendler’s 5/3/1 system? Do you think his form of cycling is sensible and valid? Do you think his suggested loading for assistance work (5×10) is too low on the intensity? Anything you’d change? I like the idea of a program where I don’t have to think out the loading, but the fact that I don’t have to think anything out leaves with the suspicion that it’s stupid. This is as true in business and life as it is training. Further, limiting options is an act of courage because it means you have to commit. And if you commit to one way, you may miss a better way….or fail. Yet, without commitment, one has already failed. Thanks for the strong quote Pavel. Great post; nothing like a good quote or two to really make a point! We’ve all probably fallen victim to looking for that “perfect” training routine. In doing so, we’ve probably stolen a little from this system and a little from that. Usually, that just leads to a watered down method not nearly as effective as any of the systems from which it was derived. Nothing wrong with a little program hopping, but I’ll conjure another quote I believe I read in your book written with Dan John: “Plan the hunt. Hunt the hunt. Discuss the hunt.” If you’re going to do a Gallagher program, plan it out for the full 12 weeks and stick with it the entire way through. Then evaluate it at the end. If you’re inclined to move on to something like Sheyko, so be it, but at least you’re informed. And when you try Sheyko, see it through to the end before you even think about making changes. regardless, Westside lifters are STRONG… really STRONG. And well thought out. It seems that both his novice and intermediate program are readily available and the rational behind each program is well laid out. His description of workout days, sets, loads, and rep schemes is nice especially when backed up with rationale like Selye’s theory of stress and adaptation ( of course this is the case for any system that allows the user to continually hit PRs). I have just recently started the Texas method and add in banded power swings as a neural warmer upper for heavy back squats and Bottoms Up presses before by barbell presses. Patrick, it is a different system in Bill Starr’s tradition. Was doing some reading & found the story about Milo of Croton, he of walking with a bull on the shoulders fame. Depending on what you believe of the myth/legend 3000 years ago, it is interesting that despite all the advances in knowledge & specifics of strength training & conditioning, the lesson is still the same as above: lift often, lift heavy & progressively overload over a long time frame to achieve true strength. Whatever was true about him, you don’t get to be a 5 time Olympic wrestling gold winner over 20 years without doing something right. Thanks Pavel for always cutting through the BS & honing in on what works. Great stuff. Bought “Rework”, love it! If somebody decided to become a hunter, and then went out and bought a rifle, shotgun, and compound bow then put them in the attic, they would be either a fool or not really interested in hunting. They would further their foolishness by having strong opinions on each weapon, perhaps on line, but never having ever tried any or all of the weapons, their opinions would be worthless. maybe even dangerous. All three ways work and they all have some advantages and drawbacks. This is very easy to understand, just follow each program for a few YEARS, and read everything you can get your hands on and keep a great training log. In 10-20 years you will grasp it. Or just pick one and a great training environment and save yourself the time while getting stronger. I really appreciate your blog as I have been working with Marty for a while. I have deliberately not read ANYTHING in regards to powerlifting. It might seem close minded but I have really sought to understand the system that he teaches. Mike Boyle said,” It’s good to think outside the box, but first you have to understand the box!”. I think he is right, and I think it’s going to take me a long time to learn it well enough to go outside it! you often refer to the PL-systems of Simmon, Gallagher and Sheyko. While finding detailed information about Simmon’s approach is quite easy the other two trouble me. I own Marty’s “Purposeful primitive”, yet while he gives insight to number of approaches based on the training of different BB/PL/WL-Greats I can’t really identify “his own” system in there. Is there a book or other source where I can find out more about Gallagher’s own system and the principles behind it? Similar question for Sheyko: It’s easy to find Sheyko training templates on the web, but I couldn’t find a source where the complete approach and the reasoning behind it is explained. Usually the templates I find are only accompanied by some rough and blurry description how to implement them. I’m not planning to start PLing anytime soon, but while working through one of your “do this”-approaches, I would like to use the spare time to wrap my mind more around the concepts and mechanisms behind strength training in general. Daniel, Marty’s book “Coan: The Man. The Myth. The Method” explains a lot. The rest is in Marty’s head. Sheyko published a good book in Russian; I have no idea whether it has been translated. Marty…A great head with a fine heart! Thanks for this excellant,and important, article Pavel! There is a translation of Sheyko’s book on the EliteFTS site (or at least was), but it’s a “Google translate” type of translation (e.g. one of the exercises is listed as “rod on spine”), so it might be tough to understand. The book itself is very comprehensive and has a lot of good illustrations, programs, etc. Really excellent, Pavel. 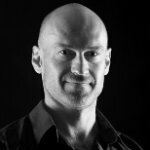 I’m very particular about exercise selection and technique, but tend to muddle along with programming. It’s something of a black art. Thanks for the big picture & insistence on decision. Pavel- great article! The opening says as much about life as it does training…. Thank you, Shawn! And as for training, it definitely applies to any type of training; powerlifting just provided best examples.